For the past several years, neutrals have become the staple in design. One of the hottest colors to reemerge is grey. Some call it the new black. It's variation in tone, allows this color to work well with all others, from the vibrant to the muted. The beauty of grey also lies in that it stands alone brilliantly. 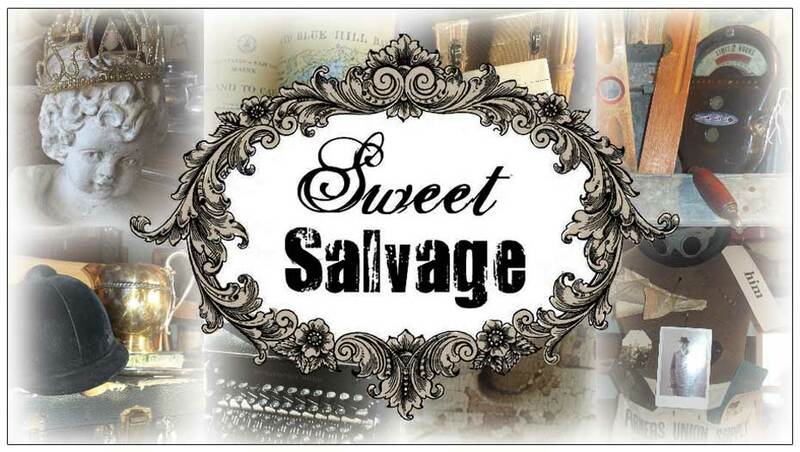 Kim chose the book Fifty Shades of Grey not only for its ranking amongst the Best Seller List but the title stands true to the Sweet Salvage Style. Throughout the past several years, Grey has been shown in many Sweet displays. From Nordic, to Farmhouse to Traditional and Modern, it has it's place in all decor styles. Her vignettes are representative of the versatility of this beautiful hue in all it's shades. It is easy to find ourselves influenced by surrounding color. Traditionally greens, blues and purples lend to having a soothing effect. The same holds true this month as a few designers have chosen to use calming palettes in their design. Myko chose the book Aquamarine. Indicative of her style, she once again has embraced beauty and sparkle. Fresh sprinkles of aqua are abundant throughout her design. Touched with a hint of the ocean her story comes alive. Filled with vintage flair, the vignettes are spectacular. Nancey chose the literary Classic, Anne of Green Gables, a very fitting choice. Her ability to display garden architectural elements, furniture and accessories is one of her greatest design attributes. It is so apparent in her fabulous vignettes this month. 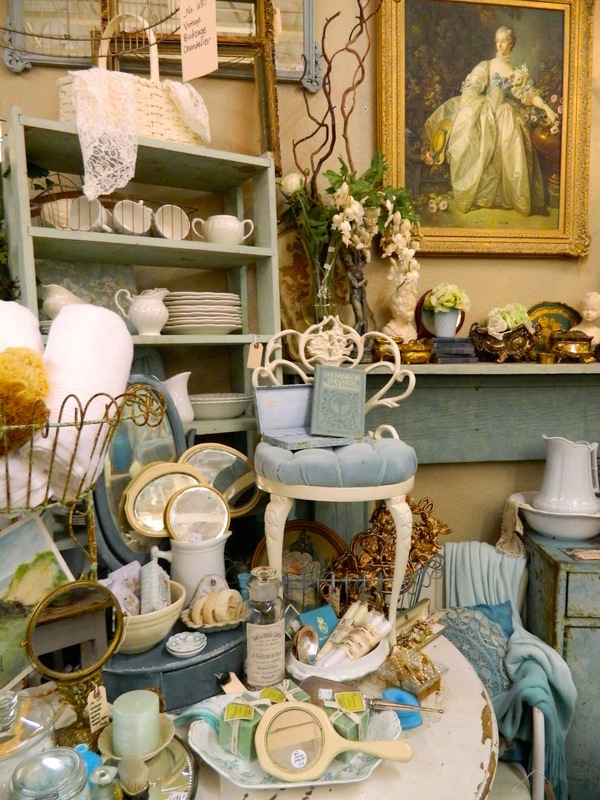 The entire space is filled with vintage garden treasures. Incorporating green in the most incredible variations of patina. Julie chose the book Lavender and Old Lace. Inspired by the title, of this very old book, she embraces the beautifully romantic combination of lavender and white. Fresh flowers bloom in the background of vintage wrought iron. Incredible rare purple leaded glass adds reflection. Perfectly aged hues of lavender accent pieces mixed with crisp linen and warm wood tones anchor this perfectly designed setting. To spend an afternoon tea here would be delightful. Moving across the color spectrum we come to yellow, blue and green. These three colors, with all their various shades, create the palette Mother Nature uses in her backdrops. From the sun and sky, to the hills and oceans, these are the colors our eyes embrace merely by just opening. It's no wonder that these hues are so popular in home decor. Especially, to those whom enjoy bringing the outdoors in. Kim continues Paris in Color, creating beautiful French displays using each color. She allowed each to stand boldly in their individual vignettes. The result is an incredible longing for traditional palettes that many have chosen to diverge from in the latest neutral movement. Timeless combinations of yellow, blue and green are a testament to classic design and reminder that some colors will not fade away. Lisa chose the book, Fried Green Tomatoes. Though using similar tones, her design is reflective of the style she does incredibly well, Contemporary Modern Country. Beautiful shades of green surround her vignettes as artfully placed pops of yellow, orange, red and blue pull the space together. Elements of the story are also incorporated allowing a smile as you remember the famous shopping cart scene. Represented through a vintage metal cart. It's all in the details with Lisa's work. Scale balanced with color, mixed with a story creates a splendorous happy space.